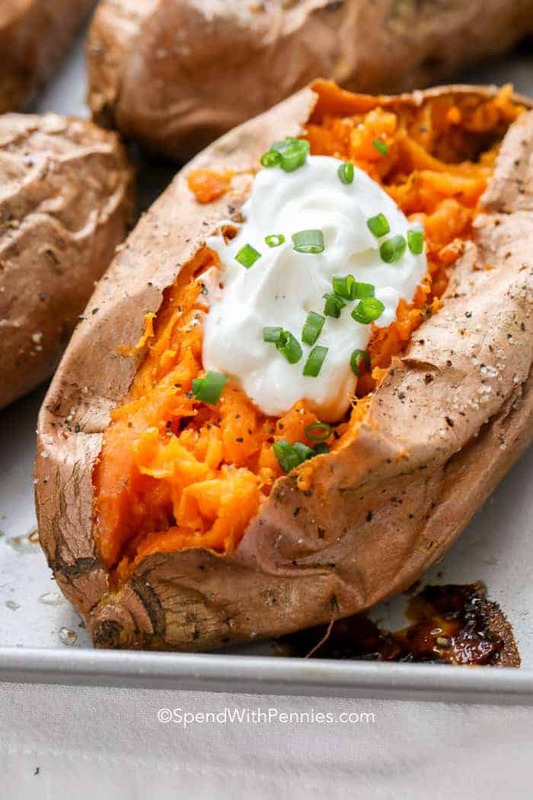 Baked Sweet Potato is quite possibly the most delicious and nutritious veggie ever! 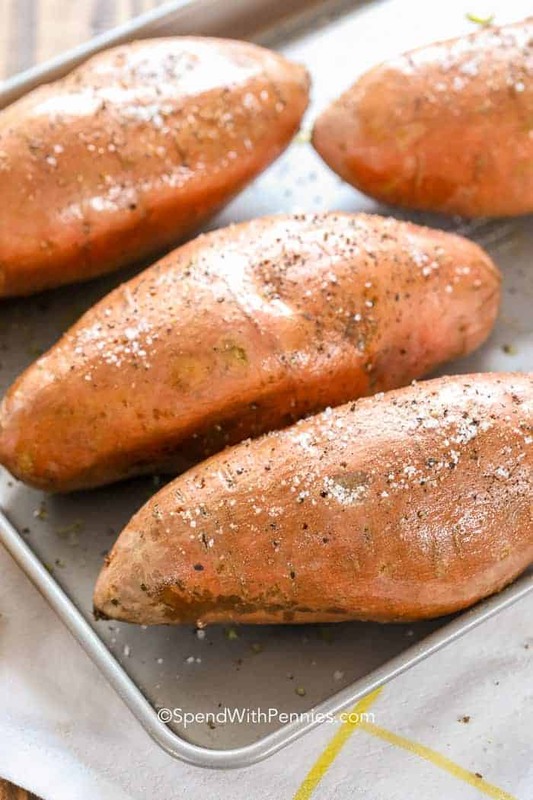 A delicately sweet taste and fluffy interior make these oven baked sweet potatoes the perfect side dish for your next meal! 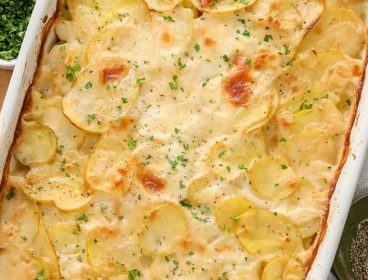 Fall is an excellent time to enjoy recipes that call for sweet potatoes! 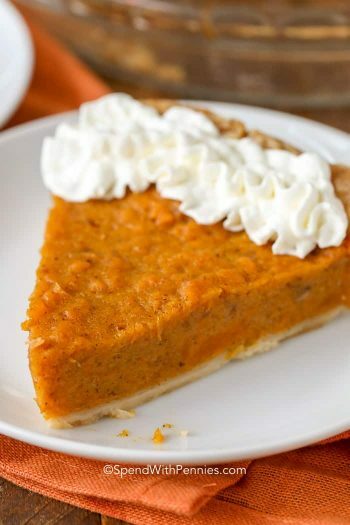 Sweet Potato Casserole, sweet potato pie or french fried sweet potatoes are all delicious options! 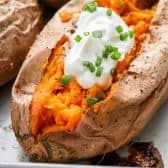 I have to admit though that, while I love these dishes, I love a simple baked sweet potato topped with a little bit of butter and sour cream even more! Sweet potatoes are a starchy and sweet tasting root vegetable and similar to a regular potato they can be boiled, fried or baked. Many people mistake sweet potatoes for yams. While both are root vegetables, they are only distantly related. Sweet potatoes have a general shape and size of a regular potato, but the ends come to a bit of a point. Yams, however, are narrower and more cylindrical in shape. Often sweet potatoes are labelled as yams in supermarkets, leading to more confusion! 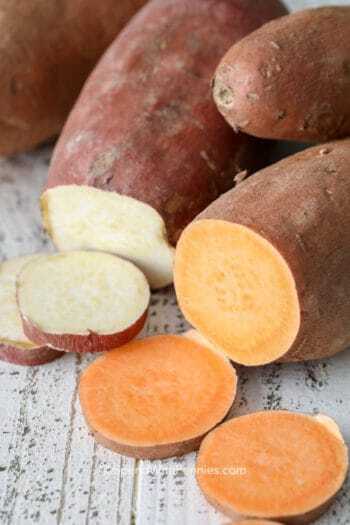 The sweet potato is a nutritional powerhouse; they are a good source of fibre, vitamins such as Vitamin B and C, as well as minerals like calcium and potassium. They are also known for their antioxidant, beta-carotene which helps with healthy skin, helps with our immunity and overall good health. Raw sweet potatoes should be stored in a cool, dark, dry and well ventilated place. 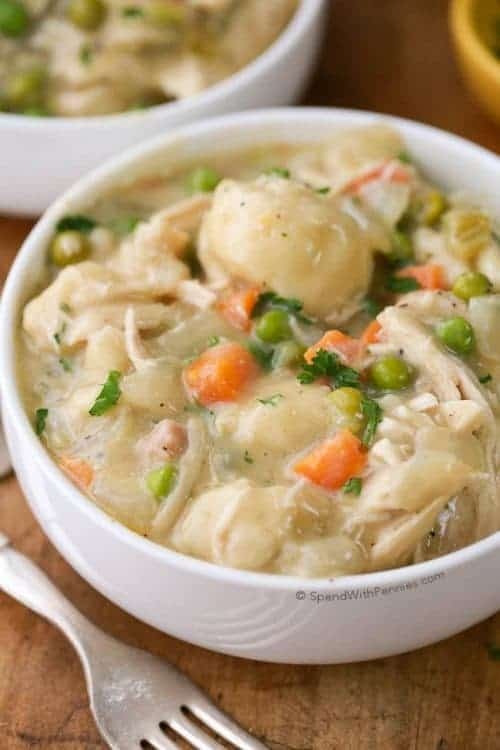 Avoid storing them in a refrigerator as this changes the cell structure of the potato making them take longer to cook and affecting the flavor. Once cooked, you can store sweet potatoes just like any other potato. They will stay fresh in the refrigerator for 3-4 days, or you can freeze them for 3-4 months in an airtight container. 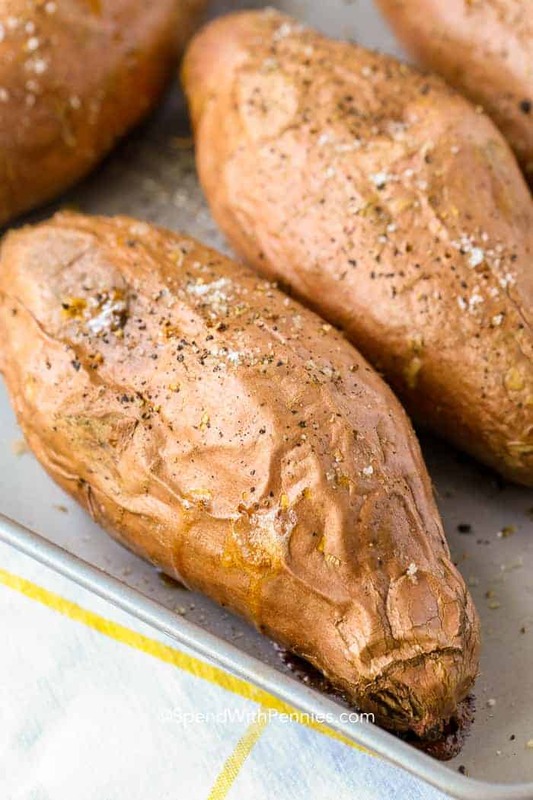 Learning how to bake sweet potatoes in the oven is one of the easiest things to do! Poke the sweet potato with a fork a few times (to allow steam to escape). Add olive oil and seasonings to the outside. Bake for about 1 hour or until tender when the sweet potato is pierced with a fork. Allow to rest for a couple minutes before enjoying. If you use the flesh in another recipe, you can allow it to cool completely and then peel the skin off. How to Bake Sweet Potatoes in Foil: Use the exact method as above wrapping in foil before cooking. The skin will be softer if foil wrapped. Sweet potatoes are such a versatile vegetable and can be used in many recipes. 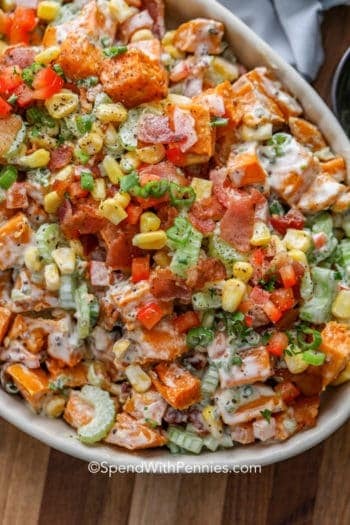 What do you put on a baked sweet potato if you choose to enjoy it by itself? I like to top it just like I would top a regular baked potato. 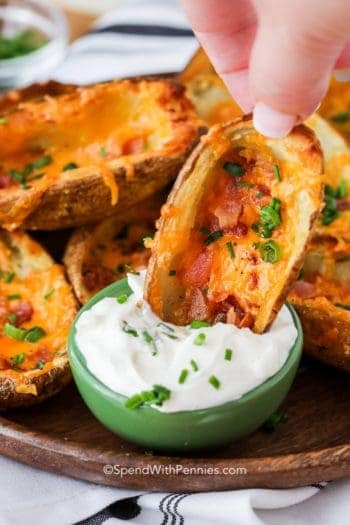 A little butter and sour cream is so delicious! 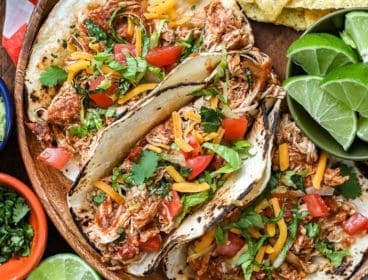 Many people like to add cheeses like cheddar or blue cheese while another popular option is to add meat toppings like pulled pork, bacon or grilled chicken. Add other veggies like green onion, spinach or asparagus – really the possibilities are endless! 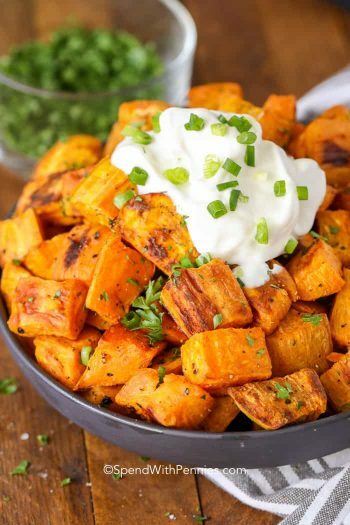 Reach for a sweet potato the next time you are looking for an interesting side dish for your next lunch or dinner. 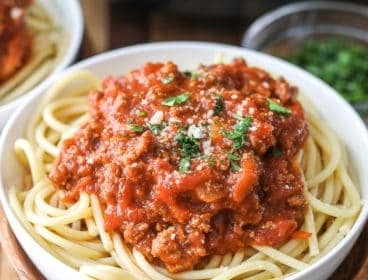 You will wonder why it took you so long to discover it’s incredible deliciousness! 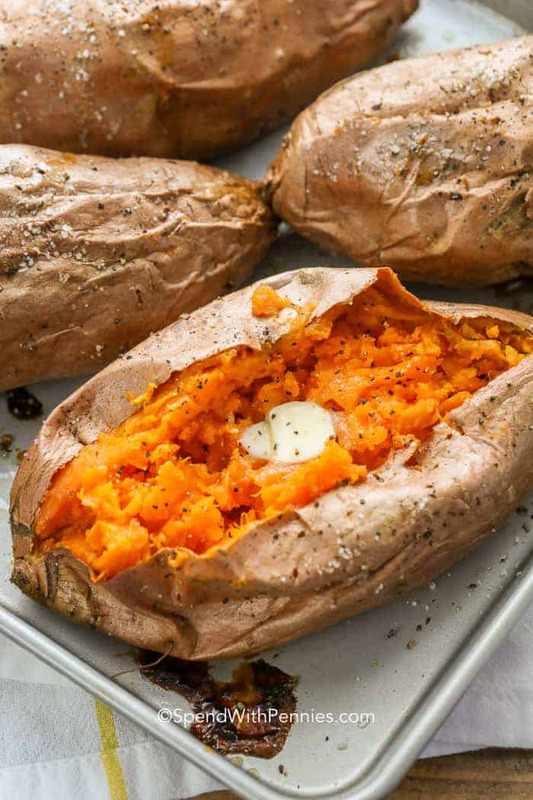 Making baked sweet potatoes in the oven is easy and delicious! Wash and dry the potatoes. Poke about 3-4 times on each side. 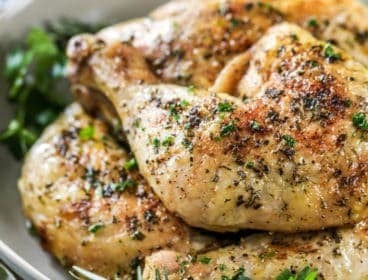 Rub the skin with olive oil and sprinkle with salt and pepper. 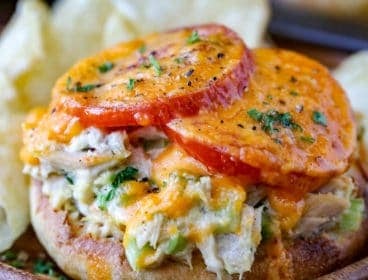 Bake 50-60 minutes or until tender when pierced with a fork. 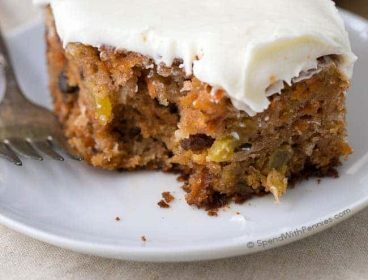 Allow to cool 5 minutes before cutting open.